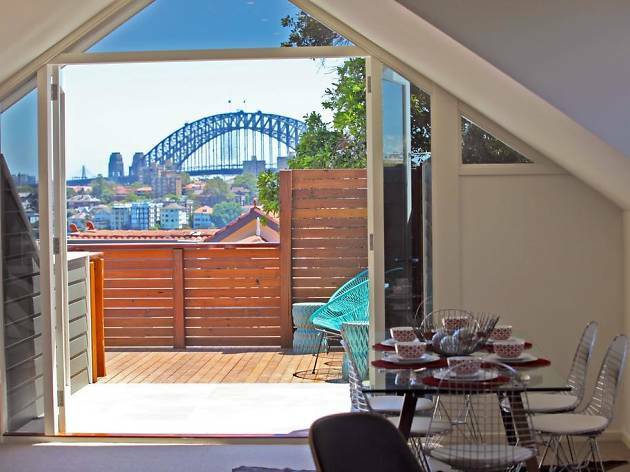 If aesthetics are more important to you than convenience, then Cremorne Point Manor may well be your cup of tea. Set a 19th century harbourside building on the leafy north shore of Sydney, surrounded by millionaires’ mansions, the Manor is one of the city’s oldest hotels. Old does not, however, mean dated. Rooms have been renovated as recently as 2017. Design is modern, in a light, bright palette that complements the hotel’s sunny aspect. Surrounded by waterside walking tracks and not much else, the Cremorne Point Manor will allow you to experience one of the most unusual virtues of being a Sydney local and get about by ferry. The hotel is an eight minute walk to Cremorne Point Wharf, and from there you can catch a ferry to the city in just ten minutes – meanwhile, Taronga Zoo is just one ferry stop away in the other direction. Many rooms have harbour views and generous ensuite bathrooms – but the real value is in the smaller rooms, which are regularly available for under $100 a night. Sure, you’ll have to share a bathroom – but it’s a small price for living in a multi-million dollar neighbourhood. Time Out tip: The ferry is close to this hotel, but the nearest shopping strip is a 20 minute walk uphill. If you’re drawn more to Sydney’s natural beauty than its activities, then this spot shows the city in one of its finest aspects – but you’ll need to factor in extra time for getting around.